Home Soccer Solari dodges the 'Marcelo case': "We work so that everyone is 100% ..."
Solari dodges the 'Marcelo case': "We work so that everyone is 100% ..."
The Argentine coach answered three questions about the Brazilian's form and avoided saying if he sees him in good form. Solari has a new problem to solve: the state of form of Marcelo. The Brazilian side, indisputable in recent years, is not curdling his best season. Indicated by the press and fans, he was whistled against Real Sociedad after failing in the first goal that the team fit. Faced with this low performance, the Argentine coach gave a blow on the table at Villamarín: Marcelo was substitute and Reguilón took his place. Solari considers the Brazilian a key player, but wants him to recover his best form. In fact, against Leganés surprised after having left him on the bench against Betis. He gave the title ... but extreme . 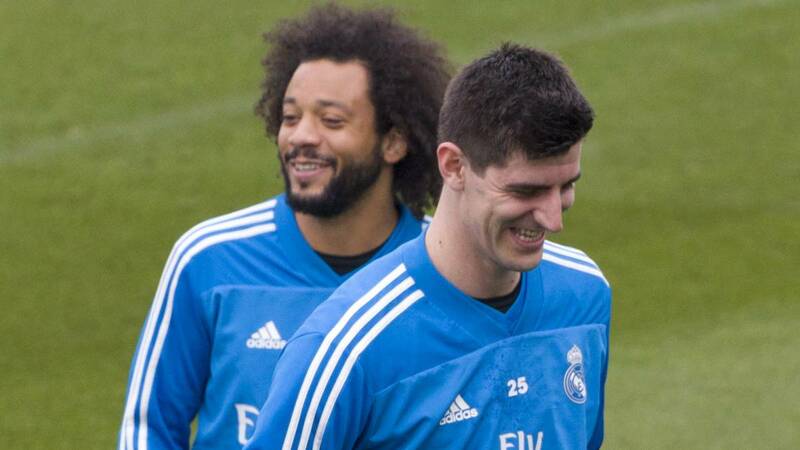 Marcelo did not feel comfortable in that demarcation and it did not take too many minutes to exchange it with Reguilón. Now, before one of the most important games since Solari came to the bench, there is a doubt that was unthinkable a short time ago: Marcelo or Reguilón to occupy Madrid's left-back.